A few days ago, DIESEL secretly opened an authentic knock-off store called DEISEL on NYC’s Canal Street, very far from Fifth Avenue or the other fashion landmarks, and right in the heart of New York City’s most famed fake-fashion destination. The unsuspecting shoppers probably did not realize then, but the items they bought at the DEISEL store were actually one-of-a kind pieces specially crafted by Diesel design team disguised with fake DEISEL branding. Those lucky shoppers took home some rare pieces, very likely to become collector’s items. 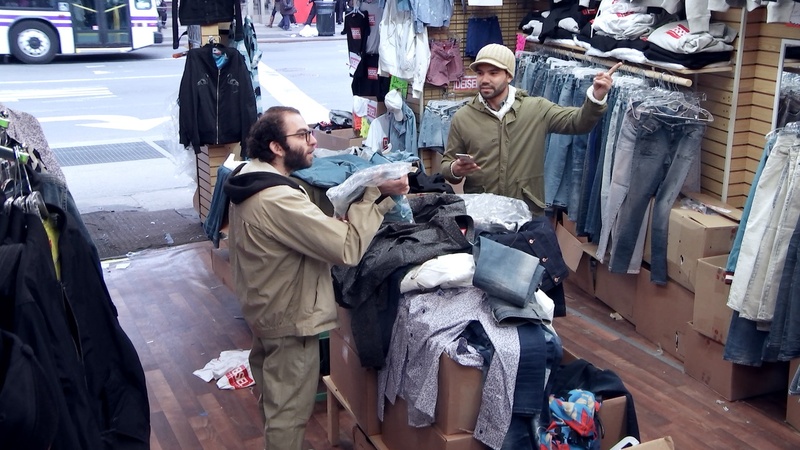 Operating in the original style of its Canal Street neighbors, the store’s interiors and selling experience played out authentically, and the whole experiment was caught in a video that celebrates those who are brave enough to venture off the beaten path to find their own unique style. Riding on the current logomania trend, and right when consumers are seeming to turn away from heavily branded items, Diesel plays with its fans and encourages them to feel free to wear whatever they want. Why? Because this is the moment to celebrate those who are “gonna pop some tags, with only twenty dollars in their pocket, looking for a come-up that is fu****g awesome”. If you missed the deal, no worries, you might still have the chance to get your DEISEL piece if anything is left! From today and for the next three days, try your luck at our DEISEL store on 419 Broadway, at the corner of Canal Street. And if you also miss this chance, try finding them online. Some of the lucky shoppers that got them at knock-off prices may decide to sell them, or you can always try to buy them in very limited edition on Deis… no sorry, on Diesel.com from February 13.